If there's one thing you can say about El Ranchero tortilla chips, it's that they're addictive. That's the one word that comes up over and over again every time these chips make an appearance at a party or come up in conversation. They're available everywhere in the city (at major supermarkets and corner mercados alike), which makes breaking the habit that much more difficult. At least you can feel good about what's actually in these chips, which is nothing fake or artificial. Plus, when you buy them you're supporting a local business. Aside from the fact that they're deep fried and way too easy to consume by the bagful, what's to feel bad about? Try El Milagro Mexican Kitchen Style. No, I gotta go with El Ranchero over El Milagro. I like the thickness. These chips are NEVER at risk of breaking in any kind of dip. Heck, I eat chili with them alone - no spoon. And the $:chip ratio with El Ranchero beats anything else. This bag is like $1.99. Same amount of crappy Tostitos is like, what, $3.29. Oh yeah, El Ranchero chips are seriously good. Just found out about Drive-Thru yesterday and I wake up today to find you not only talking about my favorite tortillas, but also linking to my review. I'll take that as a valentine... Thanks..
...now I gotta go restock my El Rancho Pantry. I have to agree with Jack about the El Milagro Mexican Kitchen Style tortilla chips. I found that there were many quality control issues with the El Ranchero chips: Often times insufficiently seasoned; sometimes over-seasoned; sometimes crisp; sometimes stale. On the other hand the El Milagro chip is consistent in quality, texture and flavor. I settled on these chips for our Chilaqulies at Cafe Selmarie and our guests agree. I munch my way through a bag or two each week at home. They are irresistable. They are more expensive than many other brands but definitely worth it. It's always a toss up between the El Milagro Kitchen Style and the green bag chips (El Ranchero) in my house! We go back and forth all the time. My verdict: a great bag of the green bag chips wins my vote, BUT Chef Chris is right. They're super inconsistent, and nothing is worse than opening a bag with excited anticipation and being severely dissapointed with a stale and/or unseasoned or overseasoned chip (except maybe no authentic tortilla chips at all). We've missed El Ranchero chips so much since moving from Chicago to DC that they are our favorite Xmas/b-day/whatever gift from family AND we have a case shipped to us from the factory to tide us over btwn holidays. I grew up just over the border from Chicago and was fortunate enough to have witnessed El Ranchero's first apearance on the mainstream shelves–back around, oh, 1988 or so? My mom started buying them and I was instantly hooked. Such simple ingredients, so damn good! (wasn't this what EVEYBODY wanted in a corn tortilla chip!?) I've always loved the fact that their packaging and branding has remained so simple, even as their commercial success has earned the product a lot more real estaste on the grocery store shelves–It's testimony to the fact that when the product is really good, it does not need to pander to the trends of style and packaging. Alas, the sad part for me is that El Ranchero does not seem to have any distribution outside of Chicago. For this ex-chicago boy now living in Florida, that makes life pretty tough.! Until they start selling in the tropics, the best I can do is to keep shipping boxes of them down here each time I visit my family back in Chicago! (see photo). No the best chips in the Chicagoland area are Donkey Chips. I have found them at Caputo's and Treasure Island. They are by far the best most authentic chip out there. I love El ranchero!I am fortunate enough to have found them in Omaha, Ne of all places. 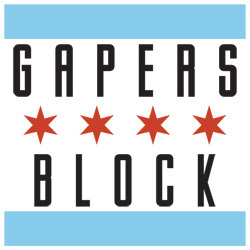 I moved from Chicago and really missed them. 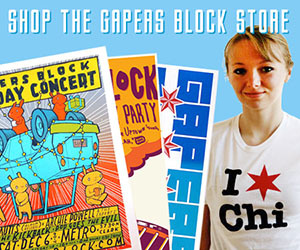 I would stock up whenever I went to Chicago. Safe to say since a local store started carrying them I have gone back to Chicago a little less frequently. I grew up on El Ranchero and still love them. However, I recently discovered Donkey Chips (@ Woodmans in North Aurora) and they are wonderful. As a 3rd place option, the On the Border chips are actually decent - as is their jarred salsa. Me and the hubby have been addicted to El Ranchero for several years now (no kidding, it's like crack for us! )...we, as many above noted, also struggled with inconsistency in bags. I believe they have a "new" recipe/process that has made them TOO consistent. My last two bags of green bag chips have been odd... The chips are not as "hard" or thick, each chip has the exact same size and shape triangle, they seem to be lighter (finer flour perhaps?) and taste less like corn flour. They don't taste as homemade as they used to--at least to me. My husband is happy because he hated all the salt they used to add to some bags. I, on the other hand, kind of appreciated the rustic-style. Has anyone else noticed this? $2.48, the sell date is 06 04 12. These chips are so hard that they are like eating glass. I would very much like to have a refund. I live in FL but grew up in Chicago. How can I purchase El Ranchero chips without traveling 1500 miles? 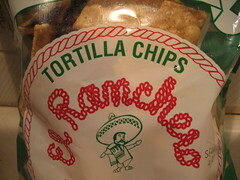 To correct some comments here: Ranchero chips are NOT made with "corn flour" like El Milagro and most others do. They are made from pure ground corn. That is why they are so heavy and tasty. Once you taste the difference, you can tell the others are just "flat" with no oil in the chip. The other manufactures squeeze the oil out, take the starch and sell it. Ranchero does not. El Ranchero are BY FAR the best chips I have had. I was super disappointed to find that they don't stock them out here in CA. But luckily, I found that you can get them on Amazon or Walmart. So I am one HAPPY CAMPER!! !